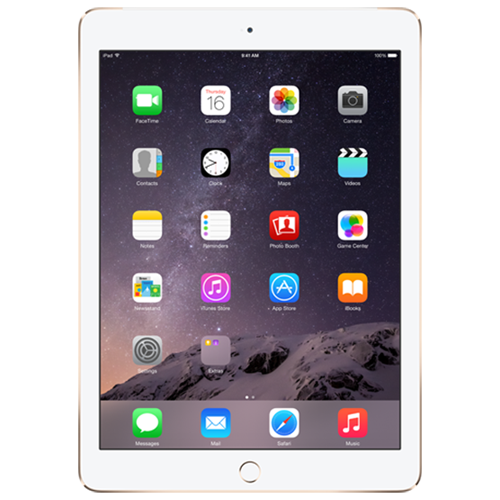 The iPad Air 2 was announced on October 16 alongside the iPad Mini 3. Even thinner and faster than its predecessor with the added advantage of Touch ID. The slogan for this device was “Change is in the air”. The inclusion of the Touch ID sensor was a big selling point for the iPad Air 2. Touch ID of course improves device security but also app security and payment security. Behind the scenes of the iPad Air 2 is hardware very similar to that found in the iPhone 6. Significantly the iPad Air 2 has 2GB RAM making it the first IOS device to have more than 1GB RAM. Accidents happen, but on a device like the iPad Air 2 you need to right the wrong. If your iPad has a problem, then WeFix can help. We offer same day repairs at home or at work – it’s up to you when and where we fix your device.